The diesel engine combustion process is determined, besides flow induced by the intake ports, by fuel injection process and bowl shape. Small changes of the bowl geometry can lead to a significant improvement of mixture formation and thus reduced emission formation. For optimization of the bowl shape CAESES is used and coupled to the 3D-CFD software to evaluate designs in an automatic loop. 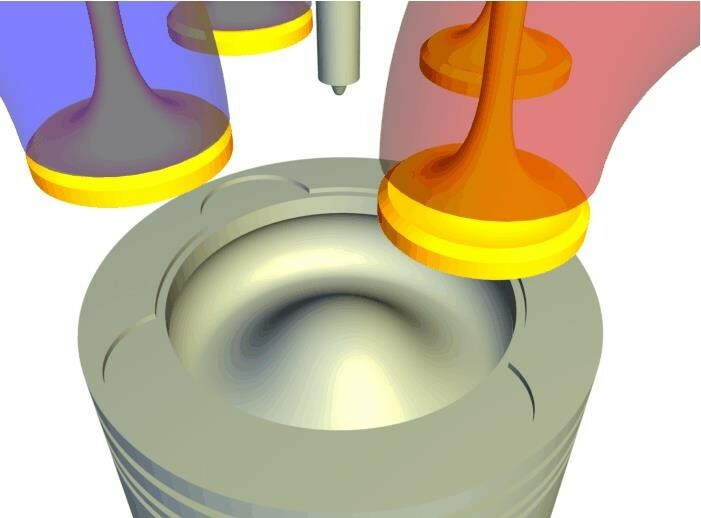 Thereby, CAESES provides parametric models which are transferred to 3D-CFD software via a software connector. For each variant, the compression volume is kept constant by CAESES. An optimizer analyses the results and creates new parameters as input for CAESES. The resulting bowl shapes are characterized by improved fuel consumption as well as low raw emissions.